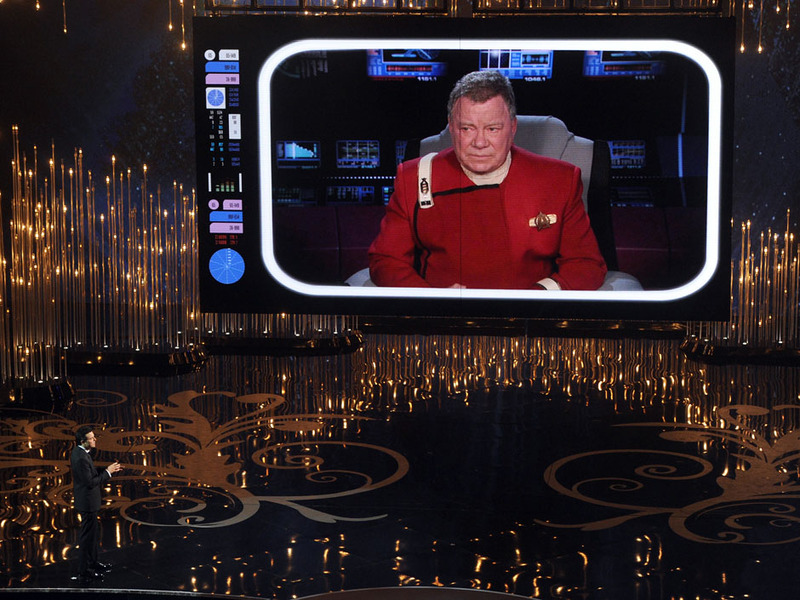 Shatner in the opening of The Oscars. Probably the best bit about the hosting! I mean who doesn’t love Shatner! These guys!!! 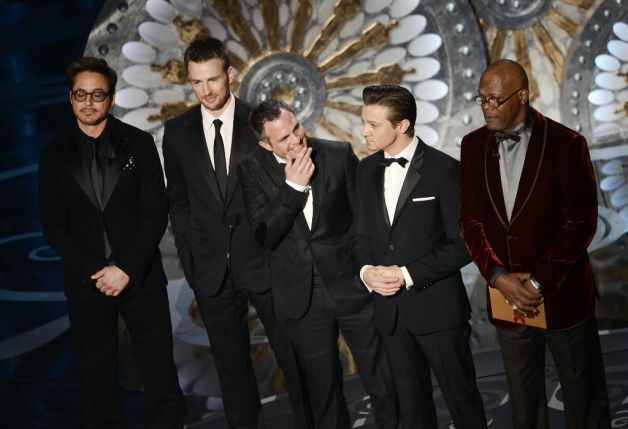 I mean RDJ, Chris, Mark, Jeremy and Samuel all on stage together. These guys did probably the best job at announcing a winner. Not to mention what RDJ said ‘Avengers was the most popular movie last season and it only got one nomination’. This is so true. The best movies tend not to get nominated. I have noticed that The Oscars are more for arty sorts of films. Not that there aren’t good movies in there. I can’t wait to go and see Lincoln and Zero Dark Thirty has me intrigued. These 3 Beautiful ladies make my best dressed list! As I said there were no real big WOW dresses for me. Most of them were nice but also not good. Jennifer’s dress was beautiful. It was big but it was also simple. Jane. All I can say about this dress is that it pops. It also suits her to a tee. It flatters but it also age appropriate. Sandra looks stunning in her dress and she gives the young ladies a run for their money. Sandra looks beautiful in this dress and it is by far a favourite of mine! So there were some shock wins as well. I wasn’t expecting Jennifer to win Best Actress. Not to say that she isn’t an AMAZING actress because she is. I am a Hunger Games fan and she was awesome in that. Argo for best film. Now I haven’t seen this film and to be honest it isn’t really one that I am interested in going to see (although I might read the book as it sounds interesting). I thought that Life of Pi might have one that one. I haven’t seen it but I have heard from friends that it is a good movie. Anne Hathaway beat out a pretty good bunch of ladies to win best supporting Actress. I would have liked to see Sally win but they were all very deserving. 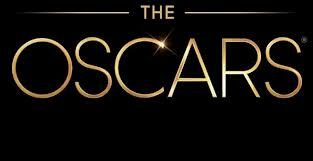 So this is my take on the 2013 Oscars. Did you watch the Oscars? What were you favourite bits? Best and Worst Dressed? Any shock wins?